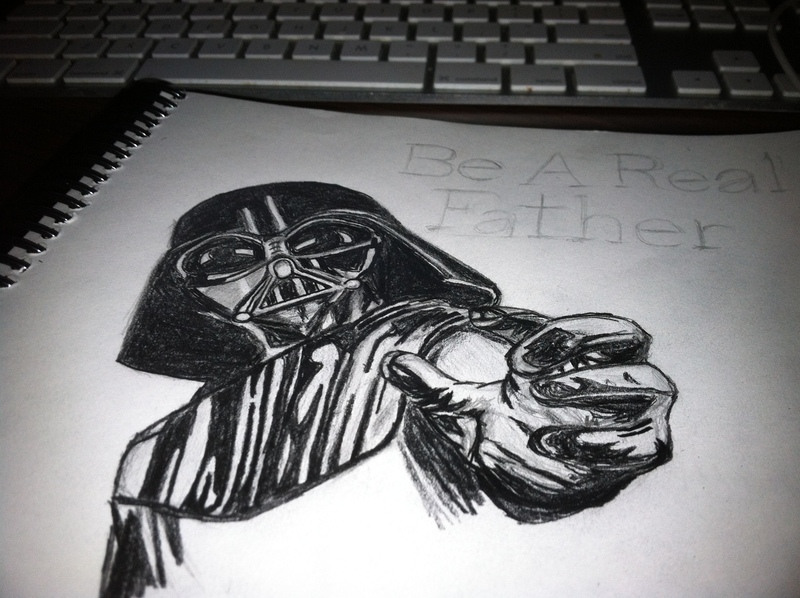 This entry was posted on February 29, 2012 at 2:44 pm and is filed under Designs with tags altered lines - dig deeper, art, darth vader, father, pencil drawing, star wars. You can follow any responses to this entry through the RSS 2.0 feed. You can leave a response, or trackback from your own site. man!!!! if the market drops he’s in trouble… Wonder who he went through to insure that bad boy… The death star is insured right? Lol. I believe it’s insured for flood, fire, vandalism; everything except some fool shooting a plasma cannon at a wamp rat sized central reactor core. But really, what are the odds of that happening? SWEET!!! DV should give me a call. I have plasma cannon damage insurance on my house. It’s a short money option with my insurance co. I pay more for tree damage :).